Harmony Siganporia teaches in the area of Culture and Communication at MICA. 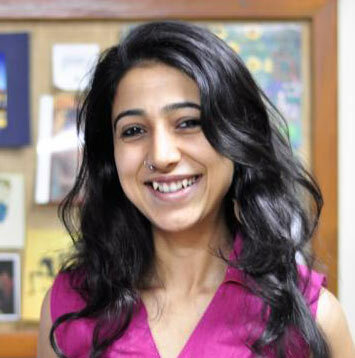 She has a Ph.D. in social history, and her thesis was on the langue and parole of reformist discourse around the ‘women’s question’ in late-19th century Western India. A practicing musician, Harmony’s other research interests include ethnomusicology, gender and performativity, culture and conflict, the role of music in the emplacement of exilic identities, and semiotic theory. Harmony Siganporia, I am the Widow: An Intellectual Biography of Behramji Malabari, Orient Blackswan, New Delhi: 2018. 'Hearing Exile Critically: Negotiating Identity in Tibetan Exile Communities in India', Minor Cultures, CSAA (Cultural Studies Association of Australasia) Melbourne, Australia, 2015. 'Memories of Mobility: the Parsi Diaspora in South-East Asia', INCCTS (International Conference on Culture, Communication and Transnational Societies) Chulalongkorn University, Bangkok, Thailand, 2016.